Timeframe: Once we get your info, we’re usually able to make you a fair all-cash offer within 24 hours. From there, we can close as quickly as 14-30 days… or on your schedule (sometimes we can have a check in your hand the very same day!). Philly Home Investor buys houses in and around Philadelphia (and other areas too!). We’re not listing your house… we’re actually the ones buying your house. Because we pay cash, we’re able to close quickly… or on your schedule. Like we’ve mentioned, when you work with us there are no fees… like there are when you list your house with an agent. What this means to you is you don’t have to worry about extra costs, having to come out of pocket to sell your house fast, or even getting your house ready for a sale (we’ll buy your house as-is). Here are some of the zip codes of area’s We Buy Philadelphia Houses in 19125, 19121, 19122, 19134, 19104, 19114, 19115, 19026, 19050, 19135, 19136, 19154, 19138, 19126, 19119 and so many other areas across the Philadelphia region. 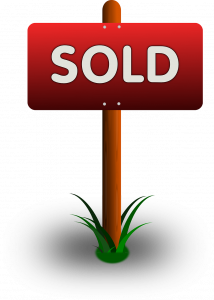 We also buy houses in the following counties: Bucks County, Montgomery County, Delaware County and parts of Chester County. If you have a house or property that you would like to sell on your own terms than please give us a call or fill out the form today. Avoid the hassle of dealing with multiple realtors, repairs, and the uncertainty on how long it will take to sell your house.